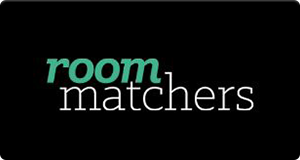 RoomMatchers.com facilitates finding compatible roommates and renting affordable rooms seamless and uncomplicated. Our unique matchmaking algorithm suggests potential roommates or rooms based on personal profile and specifications. RoomMatchers originated in May 2012 and became well-known as the premiere leading room and roommate matching portal. Our technology solution filters out scams and creates a less stressful and more enjoyable room-hunting experience.